Do you enjoy constantly running to your grow room to turn on/off your grow lights, and the equipment that works with them? 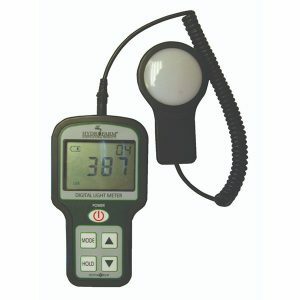 There really is no reason for you to manually control your grow room lighting with the technology available today, such as grow light timers and controllers, light moving systems, and light meters. Grow lights are one of the most important aspects of your indoor garden's environment, and there are no shortage of accessories and upgrades available for your current light fixtures. With so many options available, it can be difficult to decide which upgrades are best for your grow, and how to utilize them. Today, we are going to explain in the simplest terms how to automate your grow lighting system. When you grow indoors, your lighting system acts as the sun for your plants, so it is critical that it functions reliably, and that it turns on and off at the correct intervals. When using only one light fixture, 1,000 watts or less, a simple outlet timer will keep the proper schedule. However, when using multiple grow lights, this can quickly become unmanageable and unsafe. A grow light controller can remedy this issue by acting as a central power supply for all of the grow lights in your setup. Each of your light fixtures plug directly into the controller, where you can easily set the on/off schedule for the entire system rather than needing to use multiple timers. 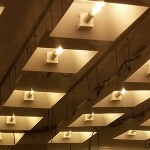 Lighting controllers are a necessity in commercial grows, and are intended to be used with large amounts of power. You can safely plug multiple high wattage ballasts into your controller. This is far superior to relying on a basic wall outlet timer, that may be incapable of handling the surge created by a powerful ballast. Grow light controllers are typically hardwired directly to your home’s power source. This allows them to handle large amounts of electricity. Wiring a controller into your home’s electrical system is a very simple process, but if you feel unsure of your abilities you should contact a professional! It always better to be safe rather than sorry, especially with electricity. 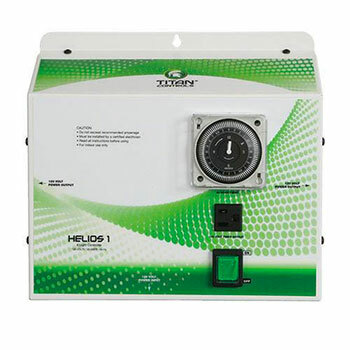 The diagram above depicts a typical lighting controller setup, with a popular controller known as the Titan Controls Helios 1. Check out our full section of grow light controllers here. We have already stated that grow lights act as the sun in our grow room. Does the sun stay in one place throughout the day? No, the sun moves around plants and provides light from different angles. This ensures that the whole plant receives light, not just the canopy. This is why you should be using a light moving system. They can improve light coverage by as much as 30%, and save you up to 20% on energy costs! Not only should your lighting be set to the correct schedule, but you also need to ensure that the light being given is reaching as much of your plants as possible. Your grow light and its reflector are great for directing as much light as possible toward the top of your canopy. But we can't give all the attention just to the canopy. A light mover system can solve this issue by slowly moving your light fixtures back and forth over your canopy. This constant movement of the light source increases overall coverage, cuts down on shaded areas, and helps reduce hot spots. Standard, static lighting will quickly burn the tops of your plants if it is too low. A light mover system actively prevents this issue. Continually moving your lights keeps plants from getting burned. An added benefit of moving your light is that motion will decrease the overall heat in your grow room, and especially above your canopy. Some light movers actually give you the ability to lower your lights to increase their penetration and intensity. These systems consist of a rail to guide the grow light across a set distance, and a motor to power it. The rails come in sizes of 3', 6', and 9'. The size you need will depend on how many plants you are growing. At Hydrobuilder, we carry products from the most popular light moving brand, Light Rail. Check out all of our grow light moving systems here. How much lights are your plants actually getting? While your grow lights may have a rating of 1,000 watts, how much of that wattage is actually being emitted? And how much of that light can even be used by your plants? It is impossible to determine the intensity of your grow light’s output if you have no way to measure it. This is why a reliable light meter is an indispensable tool for any serious grower. Using a variety of light meters, you can adjust your lights by raising or lowering them, dialing in the perfect distance between light and plant canopy. There are two primary units of measurement discussed: Lumens or footcandles, and PAR. Footcandles are useful for measuring the amount of light output that falls onto a surface, such as the canopy of your plants. While this can be helpful, many growers find that footcandles are not specific enough and a bit outdated. Footcandle meters will indicate how much light your canopy receives, but not how useful this light is. That being said, these meters are still a much better choice than just relying on the look or feel of your lights when adjusting them. Footcandle meters are very affordable, so there is no reason not to have one. You may have noticed that your grow lights come with a lumen specification. This is a common way of measuring light emitted from your grow lights. Lumens can be associated with the brightness of a light, and is the amount of light actually emitted from a bulb. Plants need at least 2,500 lumens for optimal growth. 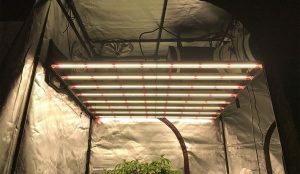 Bright lights are great, but this isn't the best way of measuring how effective your grow lights are. Plants primarily only utilize light within the spectrum of 400nm - 700nm for the process of photosynthesis. PAR (Photosynthetically Active Radiation) is a unit of measurement for light that displays the strength of light output that falls within that range. 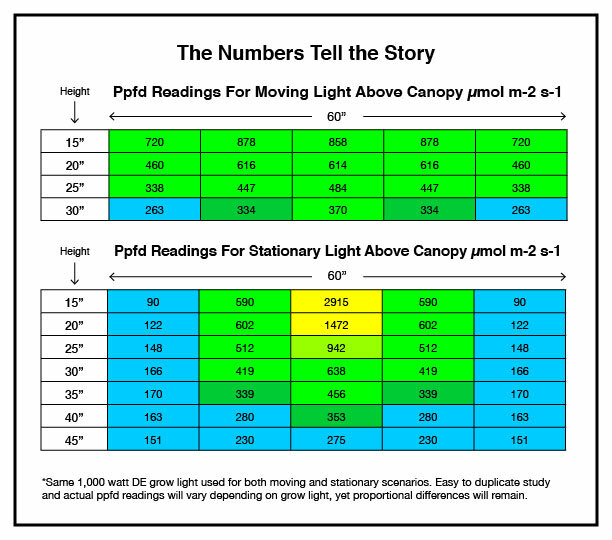 This is extremely useful, as you are able to adjust your lights distance from plants based on the amount of actually usable light that your canopy is receiving rather than just measuring the amount of light in general. 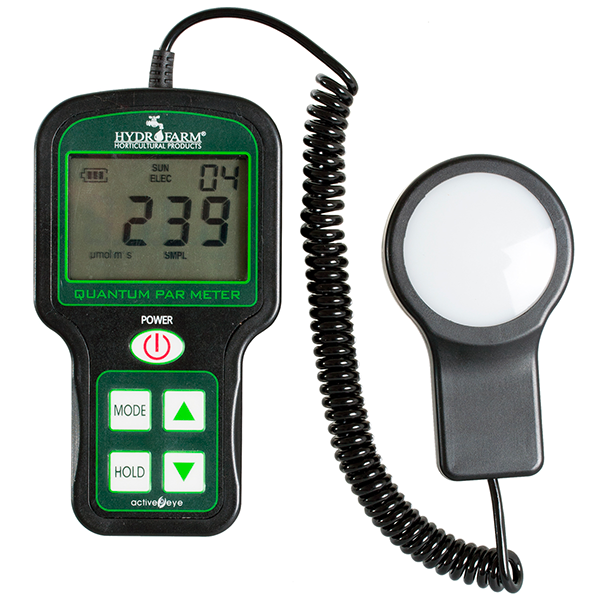 If you only use one light meter, it should be a PAR meter. This will show you how much useful light your plants are actually receiving. View our full grow light meters category! When you put together a grow light system consisting of controllers, light movers, and meters, you are creating the best conditions possible. The efficiency of your environment affects the quality of your plants. Set yourself up for a successful harvest through automation. If you set your system up correctly, you can free yourself from constantly stopping by the grow room. Let technology do the work for you, and enjoy your free time. Want to learn how to completely automate not just your lights, but your entire grow room? Read our definitive guide on grow room automation. This will allow you to continue cultivating plants, even if you disappear for a bit! You shouldn't feel chained to your indoor garden. For more helpful information grow lights, check out some of the other articles in this section. We know that there are a lot accessories and potential upgrades for your lighting systems, which can feel overwhelming. We hope that this guide simplified automating your grow light system. If you still have questions, no worries! Give us a call at 888-815-9763 and any of our experienced professionals will be more than happy to assist you.